The Nuggets beat the Trail Blazers tonight, 88-82, to hold onto a fighting chance for a postseason berth. The win allowed Denver to remain tied with Minnesota for the eighth and final spot in the Western Conference, who they’ll play on Wednesday for their only remaining regular-season game. 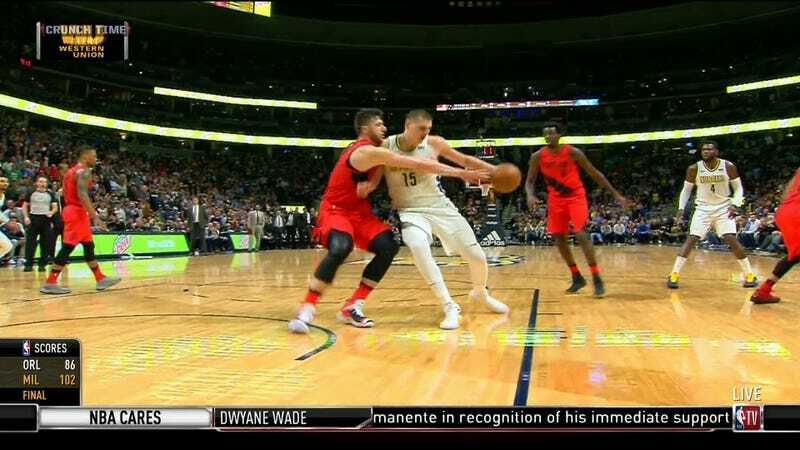 The Nuggets managed to hang on from there, fouling Nurkic after the clock started back up and quickly getting the ball back after the big man missed one of his two free throws. This leaves seven teams bunched within two games of one another, jostling for positioning and competing for six spots. The next two days should be fun as hell.